Discussion boards have been around for as long as people have been able to communicate computer to computer. SharePoint has a discussion board template under the List category that allows you to initiate, reply and moderate discussions. In Versioning settings, you can require content approval to effect a moderated discussion. People who work in small teams located in close proximity to one another may not see the need for a discussion board. But think of the number of times you’ve walked away from a co-worker’s desk, eager to act on the subject matter you’ve just discussed, and then can’t recall the details. Instead of just gabbing, start a discussion item as you’re talking. You can reply with information you were thinking of and even invite others to contribute. It’s easier than ever to create a survey for your team. When you create this list, you navigate from question to question until you enter all of them. Answers can take the form of any column type. You can even use branching logic, so that one answer to a question can take you to a different subsequent question then another answer. To keep a little anonymity, you can choose not to show the names with the responses in settings. Also, in Advanced settings, you can choose to only allow users to read their own responses. 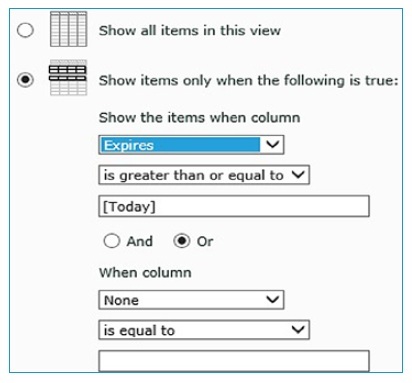 Under Item-level Permissions, choose Read re­­sponses that were created by the user. 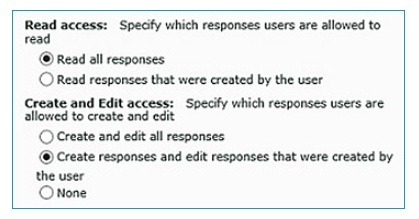 Be sure you also check Create responses and Edit responses that were created by the user, so they can respond. Not only is there a template to establish a blog site in SharePoint, but you can even save a Word 2010 document directly to SharePoint using the Save and Send menu on the Backstage view (File tab). How do you know if knowledge is blog worthy inside the organization? Ask yourself how many times a week people ask you the same question and you provide the same information. A blog might be a good idea. Your blog can become an FAQ, a compliance requirements update page, even a market or customer news repository. e o espectadores são genuinamente partilha fastidioso pensamentos.